Carwow has brought together the Mercedes-Benz A35 AMG and four of its rivals together for their usual series of performance tests. Will the current range topper of the A-Class be fast enough to fend off the current batch of hot hatches? 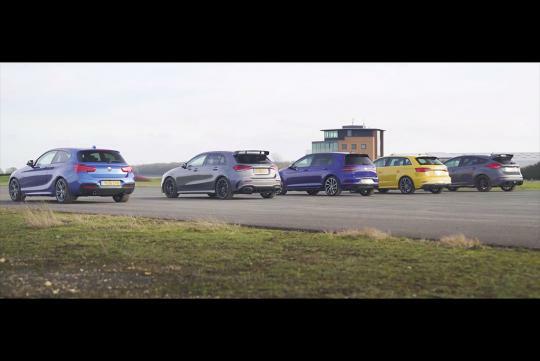 Featuring the BMW M140i, Volkswagen Golf R, Audi S3, and the Ford Focus RS(the only manual in the test), the A35 AMG battles them in a drag race from a standing start, a rolling race and a brake test. Watch the video and see for yourself how strong the A35 AMG is against the rest!